Recenti avvistamenti / Recents records around the Region. Allegato - Il contributo del GOS al IX CIO (Alghero, Ottobre 1997). Foto di copertina/ Cover photograph: Pollo sultano Porphyrio porphyrio. 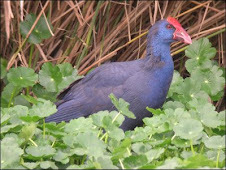 Stagno di Molentargius, Cagliari./ Purple Swamphen in the Stagno of Molentargius, Cagliari (Roberto Meloni). The new Important Bird Areas in Sardinia. 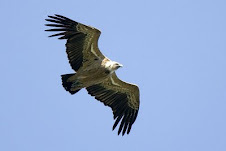 In the two years 1995-1996, following new standards of identification, the LIPU, for BirdLife International, has carried out the revision of the Italian IBA areas individualized in 1990. 33 Important Bird Areas, for a total area of approximately 325,000 ha., have been individualized and suggested to BirdLife International. The standards of identification adopted in this revision are basically based on the "value" of an area in relation to the presence of some particular species among which priority has been given to SPEC (Species of European Conservation Concern) and colonial species. The absolute "value" of Sardinia is expressed chiefly by the presence of important breeding populations of 4 between the 34 species threatened in the world, Aythya nyroca (irregular breeding with single pairs, 10-20 wintering individuals), Falco naumanni (approximately 150 pairs), Tetrax tetrax (1500-2000 resident birds) and, above all, Larus audouinii, breeding with approximately 600 pairs. In this work we go over again the phases of the IBA project in Sardinia, the new suggested areas are listed and their location in the regional territory is pointed out. For each area we point out the most important species and the standards that brought us to the suggested classification. Ecological importance of the anseriformes wintering in the middle and southern sardinian wetlands, in relation to the water salinity. The census of ducks and gooses, developed near Oristano, Cagliari and Muravera during the three winters 1991/92, 1992/93 and 1993/94, produced the following results. The population, which reached on the first winter a monthly average of 16.337 birds, nearly halved on 1992/93 (8.459 birds), going back on 1993/94 to an amount slightly above the original (15.511 birds). Among the three areas studied, the Oristano area, whose wetlands are ecologically important, and for the most part protected by Ramsar’s Convention, has been the richest of specimens. While the area of Muravera has been the poorest, perhaps through its smaller wetlands size, compared with Oristano and Cagliari. Lastly we studied the preferences of the Anseriformes for the different concentrations of salt (spatial niche), by assembling the ponds in four ecological classes in relation to the salinity of their waters: hypoalines (0,5-5 ‰), mesoalines (5-18 ‰), polyalines (18-37 ‰) and hyperalines (37 ‰. until 100 ‰). A Great Black-headed gull in 1996 at the Quartu Sant'Elena salt-pan (Cagliari). A juvenile Great Black-headed Gull was seen at a Laridae roosting site on 24th September 1996, Quartu Sant'Elena salt-pan. This is the fourth record for Sardinia and the first juvenile for Western Europe. Three individuals were previously shot and collected in the beginning of this century. Record of Purple Sandpiper near Sassari. Three individuals of Purple Sandpiper were reported at the Platamona shore (Sassari) on the 18th February 1996. This is the first record for Sardinia in this century. Pochard breeding in the south-west of Sardinia. 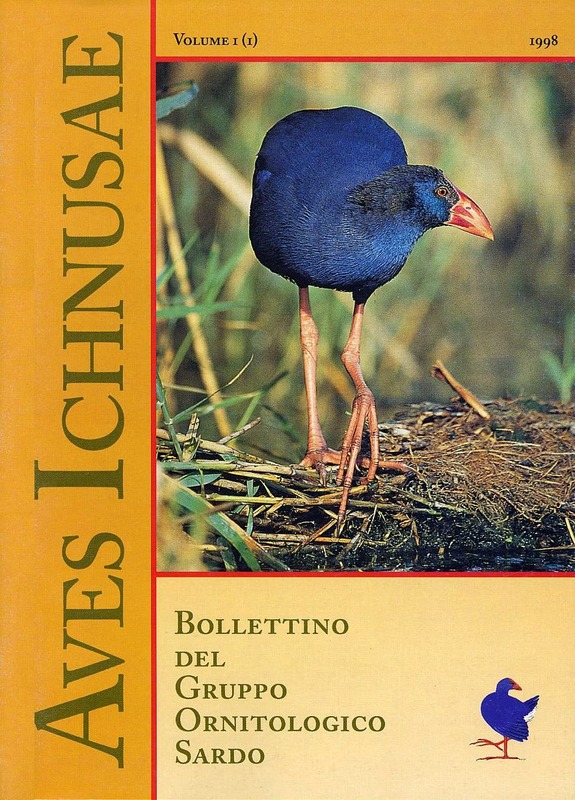 A female of Pochard with six nestlings of few days has been recorded at Chia marsh (Domus de Maria/ Cagliari) on the 17th May 1998. This is the first breeding record of this species in the south-west of Sardinia. A new breeding site of Night Heron in sardinia. Two colonies of Night Heron, totally including about 35 pairs breeding on trees, were discovered at Coghinas Lake (Berchidda, Sassari) on 25th July 1998. Till now only few breeding records of smaller colonies were reported for the northern Sardinia.